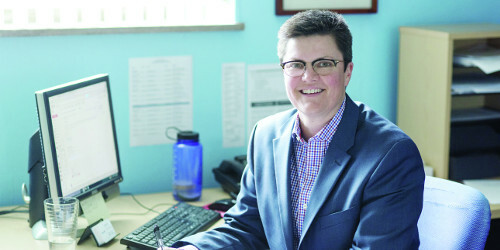 Stephanie White, EQMI executive director said, “There is a huge population, both LGBTQ people and our straight allies, that want us to win equality.” BTL file photo: Andrew Potter. In a politically unfriendly environment for LGBTQ citizens, Equality Michigan says the one-size-fits-all approach will not be effective in helping achieve full equality. The organization’s current strategy is to find a way to work with lawmakers on both sides of the aisle, to push for an amendment to the Elliott Larsen Civil Rights Act, adding sexual orientation and gender identity to its list of protected classes. For an organization historically steeped in progressive alliances, this is a challenge as everyone tries to move forward. Working with Republicans in the state has been nearly impossible over the years. Animus toward LGBTQ citizens by them has often garnered negative national attention, and some supporters of EQMI are doubtful this “across the aisle” strategy can work. Nevertheless, the organization has moved ahead building a new board, rearranging program priorities and says it is laser-focused on building a new way forward. White frequently talks about the organization’s “friends who are Republican.” She notes that many members of the GOP, particularly younger members, are supportive of LGBTQ equality, and it’s time to build those relationships. After a historic LGBTQ rights hearing that ended without a vote on Michigan’s anti-discrimination proposals in 2014, the organization – now fully staffed with high-profile influencers on their board of directors – is focused on establishing a coalition with activists from the LGBTQ community, with allies, with faith leaders, with business people, with people from academia and people from public policy. This includes Republicans. Attempts to amend ELCRA have been introduced regularly in the state legislature since 1981. In the 2014 cycle, Republicans wanted to drop gender identity from the legislation, while LGBTQ community leaders and Democrats wanted the bill to include the language. It was sponsored by East Lansing State Rep. Sam Singh. The non-inclusive legislation was sponsored by Republican Rep. Frank Foster who lost his seat in a primary challenge in August 2014. This loss is often cited as having scared off Republicans. The GOP-controlled House did not bring either bill up for a vote in committee and both proposals died at the end of that year. The loss hit the entire community hard. During the campaign, a public debate took place about whether a non-inclusive bill should be pursued instead. It was a position that Jim Murray, AT&T Michigan President and co-chair of the coalition pursuing the legislation pushed for. Murray lost that 2014 battle as the coalition stood firm in its commitment to only advance a fully inclusive bill. Fast forward to 2017 and Murray is the newly appointed board president of EQMI, and the organization says it will only work to advance a fully inclusive bill in the future. In April 2015, for the fifth time in less than a decade, EQMI was without an executive director. Since the 2007 retirement of executive director Jeffrey Montgomery – who led the organization’s predecessor agency, Triangle Foundation – a significant turnover in employees, executive directors and some key board members took place. As far back as 1999, tensions prompted a small faction upset with the Triangle Foundation, to form Michigan Equality, a non-partisan Lansing-based group. After Michigan’s gay marriage ban was passed by voters in 2004, having two statewide political organizations was no longer tolerable. The Arcus Foundation stepped in and essentially forced both agencies to merge in 2010 to form EQMI – made possible by a $500,000 grant in 2009 that funded capacity, and was given in part, to try and facilitate tangible progress. Despite some of the ingrained problems White acknowledges that “not everything sucked” prior to joining the organization. “During some of the low periods when Equality Michigan has been less strong, less present, less active, other people stepped up. The vacuum, the emptiness was filled by other organizations,” she said boosting local community centers, including Kalamazoo Gay and Lesbian Resource Center, Affirmations Community Center and the ACLU of Michigan. No organization is immune to controversy, which White and her current staff are trying to grow through together. Not only has White been faced with rebuilding a strong LGBTQ politcal group that is critically needed, but she is tasked with helping the organization overcome years of inconsistency, poor decision making and now resistance to change. “We’re smart enough to understand we don’t have the pieces in place yet to amend ELCRA. Can we pass it right now? No. There’s no political will today to get it done by the people who hold the power to get it done. It’s not going to change for a couple of years. That’s just a reality. That’s not us slowing anything down. If you can’t analyze what the actual political situation is, what the reality is, you’re never going to win. As long as you’re denying the reality, you’re never going to create the steps to get what we want,” she said. The plan is to build a case that makes it harder to say no to. “We need to be smart about what we need to win,” said White. A recent financial analysis of EQMI’s 990s (see “Funding Steady at Equality Michigan”), shows promise as the organization appears to be financially on target. 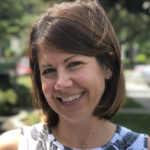 They recently hired Leila Vallarino, finance and development assistant, to help maintain the organization’s financial health moving forward. Some members of the LGBTQ community questioned why the organization decided to honor Greg McNeilly with the Change Maker Award at their annual fundraising event in December 2016. McNeilly has been a long-time trusted political advisor to the DeVos family, known for their anti-gay financial support and has himself advocated on behalf of anti-gay positions that he has not acknowledged or apologized for. Murray came under fire in 2014 – as co-chair of the Michigan Competitive Workforce Coalition at the time – for his willingness to pass an amendement to ELCRA that would have excluded protections for gender identity and or expression. Murray further explained his reaction at the time. White, in her short tenure, seems to be standing firm in the storm, determined to make sense of the organization’s new approach to reshaping the political landscape and its perceived deal with the devil. “It will be a political battle based on providing political and policy expertise in relation with the decision makers who can change the laws. That’s what we’re doing,” she said, adding that EQMI, classified as a nonprofit 501(c)(3), relaunched the Equality Michigan Action Network, a 501(c)(4), which allows them to engage in lobbying efforts and more hard-hitting advocacy work. That’s why building a stronger, more diverse board is a priority for White, as is working with a staff that is representative of the community the organization serves. As the founding member of the National Coalition of Anti-Violence Programs, EQMI is committed through their Victims Services Program, to providing support and advocacy services for LGBTQ, SGL (Same Gender Loving), and HIV-affected people experiencing various forms of violence, including domestic violence, sexual assault, hate violence, harassment and discrimination. The Crime Victims Fund, established by the Victims of Crime Act (VOCA) of 1984, funds the program, which received a 26 percent increase in 2016, according to White. “All too often, the idea exists that our lives don’t matter enough to investigate,” she said, pointing to EQMI’s deep relationships with police departments across the state with which they are creating strategies to mitigate crimes against LGBTQ people – specifically transgender women of color in the Detroit area. The organization is better fulfilling their statewide mission by expanding their reach across the state to cities such as Grand Rapids and Traverse City, maintaining regular office hours where the community has direct access to EQMI staff members including Serena Johnson, director of victims services; Jeynce Poindexter, transgender victims advocate; and Genny Maze, lead victim advocate. “For example, when there’s a victim of a crime or harassment, when we detect a pattern of more than one person being harassed by a particular police department or being unfairly targeted by that police department for who they are, now our department of victims services brings this issue to Nathan Triplett, our director of public policy and political action. They sit down together to make up a plan based on policies and programs and political realities that might be contributing to this and what the political solution could be,” she said. White explains why building relationships are so important to the organization’s success. “It’s really hard to vilify and demonize people when you know them as humans, so to the conservative lawmakers who continue to vilify and demonize us, they can only continue to do that as they stay isolated away from the community. As we introduce ourselves and make our presence known, the more they realize we are real people with the same hopes and dreams as anybody else,” said White, calling on members of the LGBTQ community and its allies to function as third-party validators. Whether it’s standing up for a transgender coworker in the workplace, for example, or supporting a community sign-on letter telling local officials ‘I want to live in a state that respects LGBTQ people’ – these small gestures make a difference. Currently serving on the Equality Michigan board is Jim Murray (see BTL Q&A), chair; Michael Rowady, vice chair; Sean Rhaesa, secretary; Mira Krishnan, treasurer; Joy Geng, member; Seth Davis, member; Kerene Moore, member; Buzz Thomas, member; David Worthams, member; and Ronald Moore, member. The Equality Michigan Action Network consists of State Senator Rebekah Warren, chair; Gary Reed, vice chair; Sean Rhaesa, secretary; Mira Krishnan, treasurer; Tim Atkinson, member-at-large; Clif Levin, member; and Chuck Otis, member.